Animal Reproduction publishes reviews, original articles, and short communications related to the basic, applied and biotechnological aspects of animal reproductive biology. 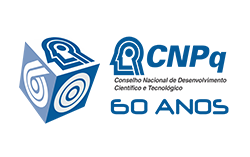 Manuscripts should be submitted online to the Editor-in-Chief http://www.cbra.org.br/portal/index.htm. Instructions to Authors are available at http://www.animal-reproduction.org/instructions. 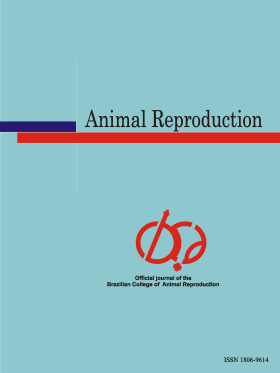 Animal Reproduction (ISSN 1806-9614 printed 2004/2010; 1984-3143 online 2004-) is published quarterly and wholly owned by the Brazilian College of Animal Reproduction (Colégio Brasileiro de Reprodução Animal - CBRA). Subscriptions and renewals are based on the calendar year. Printed versions of the journal are freely available to the members of the CBRA and electronic versions are available at the journal website. The Brazilian College of Animal Reproduction is proudly celebrating in 2004 year its 30th anniversary and organizing the 15th International Meeting on Animal Reproduction (ICAR), which for our pleasure is taking place in Brazil. We also have been publishing the Brazilian Journal of Animal Reproduction during the past 28 years. This conjunction of special events, and the awareness we are reaching maturity, made us very confident in pursuing new challenges and horizons. In this context we are now launching a new international journal in the field of Animal Reproduction, whose aims are to publish reviews and original articles related to the basic, applied and biotechnological aspects of animal reproductive biology. We are fully aware that this will be a difficult task. However, we are working very hard to make this a successful journal with the hope of fulfilling a long-standing need in Latin America by providing an excellent avenue for publications in this important and productive field of science. In this regard, we ask that you submit your next work for publication in our journal and we appreciate very much those scientists who kindly submitted their best research, which is now being published in the inaugural issue of Animal Reproduction.